Caitlin often chastises me for being the kind of person who recommends a lot of books and very rarely accepts (and subsequently reads) the recommendations of others. She is, of course, very right about all of this. 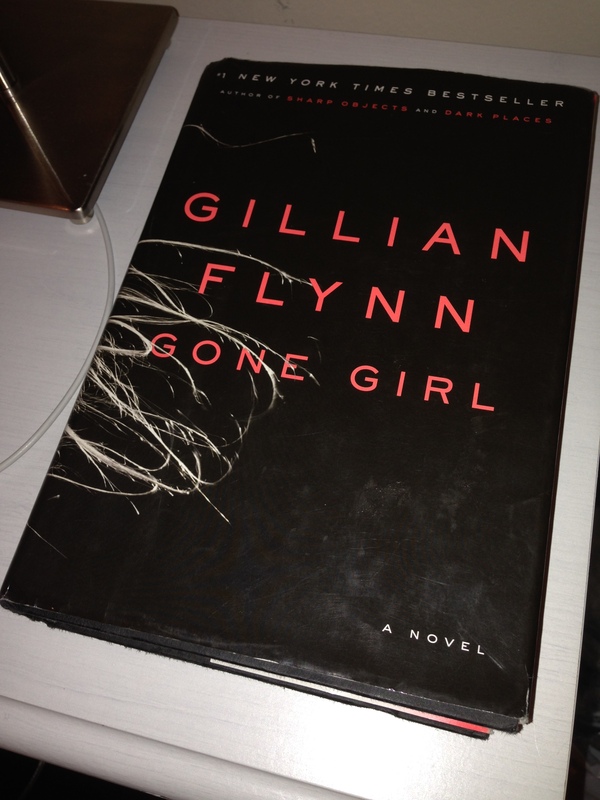 So, partly in an effort to appease her and partly to see how the other side lives, I took it upon myself to read Gillian Flynn’s Gone Girl which arrived on my nightstand bedecked in gushing praise from Caitlin and a handful of friends and family. I’ll say this before I get into the book’s details: I’ve never been one for the suspense/thriller genre. For whatever reason (and I assure you that Caitlin has a number of suggestions on this front, most of which point to my lack of humanity), the mystery of whodunit? has never really been a great motivator in my reading. There are, of course, exceptions. I quite enjoyed the Harry Potter books which are – when their standalone plots are boiled down – whodunits. I never felt like the mystery was what made Harry Potter work, though. Following Rowling’s trail of red herrings in search of who was out to get Harry (hint: it’s always Voldemort) may have helped turn some pages, but it was the relationships between Harry, Ron, Hermione, and all the other lifelike characters that Rowling created that made those books really, truly work. If I’m going to enjoy a thriller, or a mystery, or a whodunit, I need some worthwhile characters to dig into. Which brings us back to Gone Girl and an obligatory SPOILER ALERT. If you don’t want to hear about major plot points and narrative resolutions in Gone Girl, you’ll probably want to stop here. We’ll see you back tomorrow. For the rest of you, let’s talk suspense. See? I wasn’t kidding about the nightstand thing. 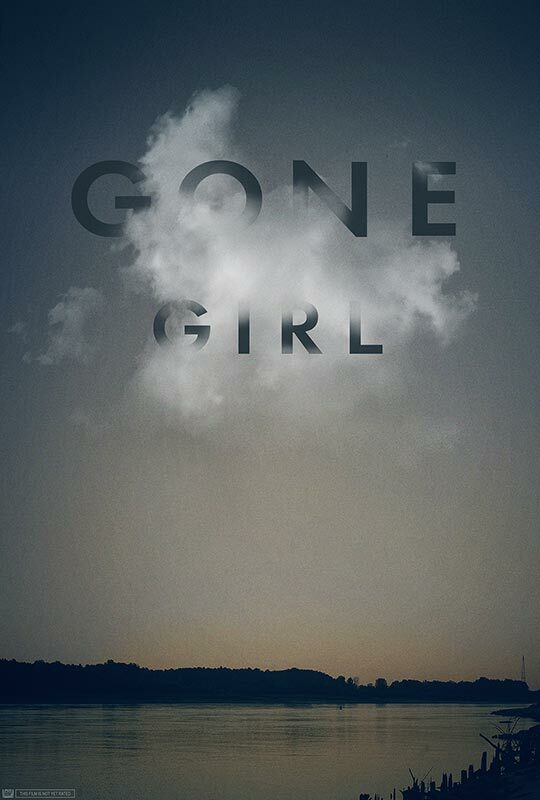 As its title suggests, Gone Girl is a story about a woman – Amy – that disappears. Predictably, the book tells us, Amy’s husband Nick becomes the primary suspect. The book tells the story of Amy’s disappearance and the resulting investigation using alternating and unreliable points of view (for the first half of the book readers bounce between Amy’s diary and first-person-Nick, for the second half it’s first-person-Amy and first-person-Nick). At the end of the book’s first section, after some 200 pages with Nick and Amy’s diary, it seemed like I was supposed to doubt Nick and feel bad for Amy. But I didn’t. To be honest, I kind of hated Amy (not that I much cared for Nick). Perhaps the book’s most interesting structural gambit is that it turns out that Amy’s diary is a fabrication. It’s a fake created by the real Amy in an attempt to forge a sympathetic figure. Diary Amy is simultaneously presented as a strong, feminist intellectual and an under-appreciated, closet romantic, submissively-minded wife. Real Amy is a self-obsessed sociopath. Both are pretty unbearable. I’ll tip my cap to Flynn here and point out that it’s actually pretty clever to have a ‘lovable’ character that’s maybe not all that lovable in part because the character is a fabrication created (maybe not all that well) by a murderous lunatic. The whodunit quest will keep you turning pages throughout – Flynn and her short chapters have clearly studied at the Dan Brown school of mini-cliffhangers. The characters, though? They’re unremarkable. Both Amy and Nick have their moments – Amy’s reflection on the male fantasy of the Cool Girl comes to mind, although even that starts to fall apart in the end – they’re just not three dimensional. The reader is presented with a lot of information about each of these characters, but that information tends to not be very substantive. If asked to describe either character, I would struggle to provide any characterization that wasn’t overly generalized. Background characters flit through the story and tend not to be any more interesting. Nick’s girl-on-the-side is a flat depiction of an overly dependent college kid (although it’s made abundantly clear that flat is not a word that the other characters would use to describe her). Amy’s external romantic entanglement comes in the form of a mincing, slimy, predatory creep with no redeeming qualities of any kind save his fabulous wealth. He’s just alive enough to be unceremoniously murdered near the book’s conclusion. Only Amy’s parents, the child psychologists that raised their own child into a monster, suggest any type of depth. They’re played for a few laughs and are otherwise left on the fringe of the story. And despite all of that, I gave Gone Girl 3 out of 5 stars on Goodreads. It’s by no means a bad book. Flynn makes you want to keep turning pages. That’s not an easy feat. If you like suspense in your novels, Gone Girl has it in spades. Maybe I only have room for one thriller in my heart or maybe Caitlin is right and I’m just a boringly academic reader sometimes – whatever the reason, suspense is not quite enough on its own for me. Although, I must admit that, as a huge fan of Seven, I’m pretty excited to see what kind of twisted mess David Fincher carves out of all of this.